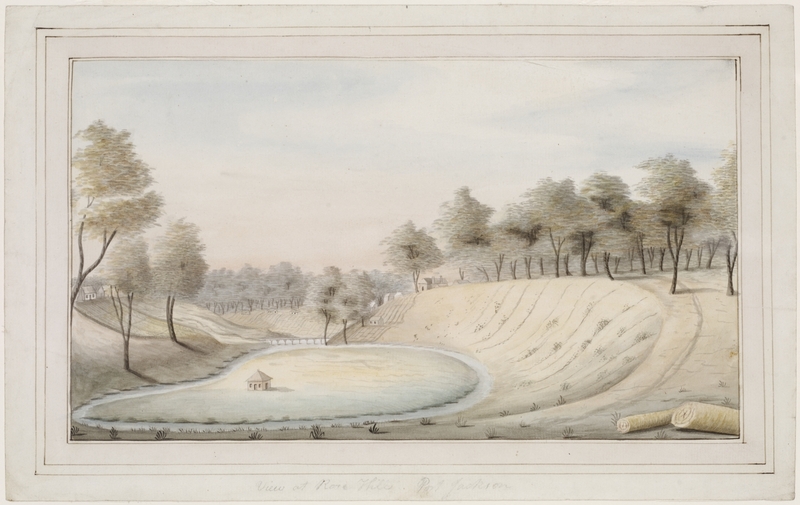 In 1789, James Ruse, a former convict, produced the first successful wheat harvest in NSW. He didn't yield sufficient grain to make any flour for the colony, but he did produce enough seeds for the next crop, which was also successful. This was such a feat in the food-obsessed colony that Ruse was rewarded for his endeavours with pigs and chickens, and the first land grant made by Governor Phillip in NSW. 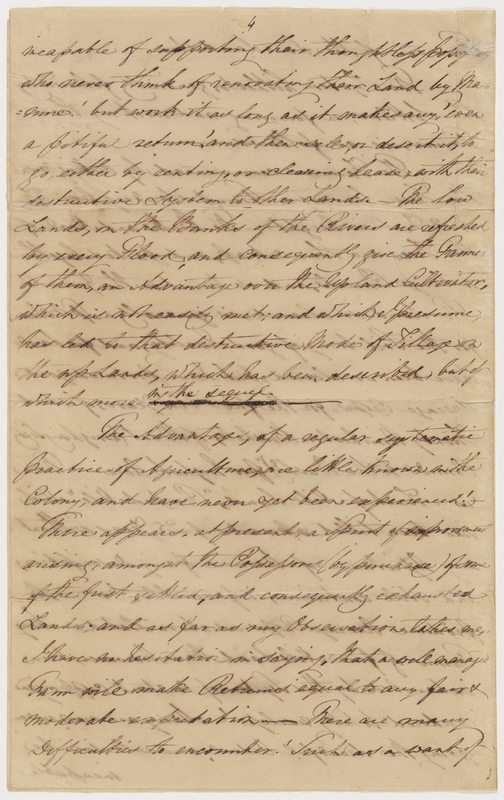 Ruse's 30 acre grant at Rose Hill was aptly named 'Experiment Farm', and led the way for Australia to become one of the most important agricultural nations on the planet. By the end of 1791, there were over 200 acres in cultivation at the Government Farm, Rose Hill. 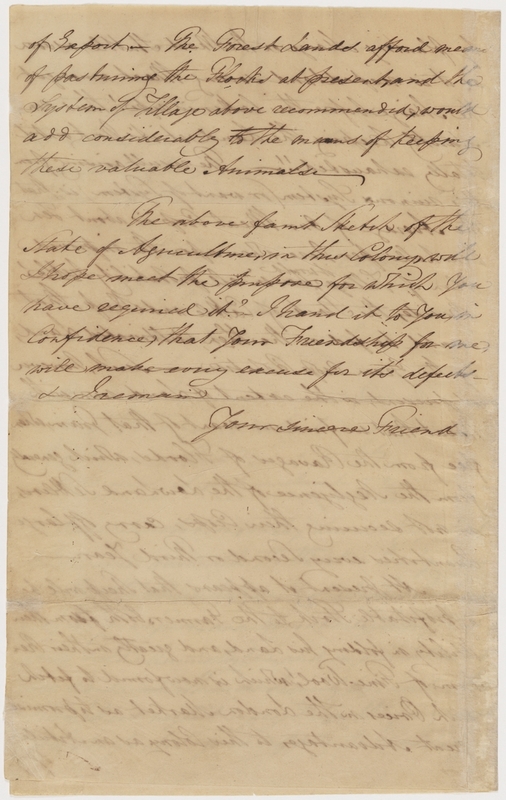 The success of the Ruse experiment encouraged Governor Phillip to grant land, livestock, agricultural tools, seed and assigned convict workers to settlers and emancipists willing to farm. On arrival at Botany Bay, Captain Arthur Phillip had claimed all of the land for the British Crown. As the first Governor of New South Wales, he was able to grant parcels of land to free settlers, soldiers and former convicts. 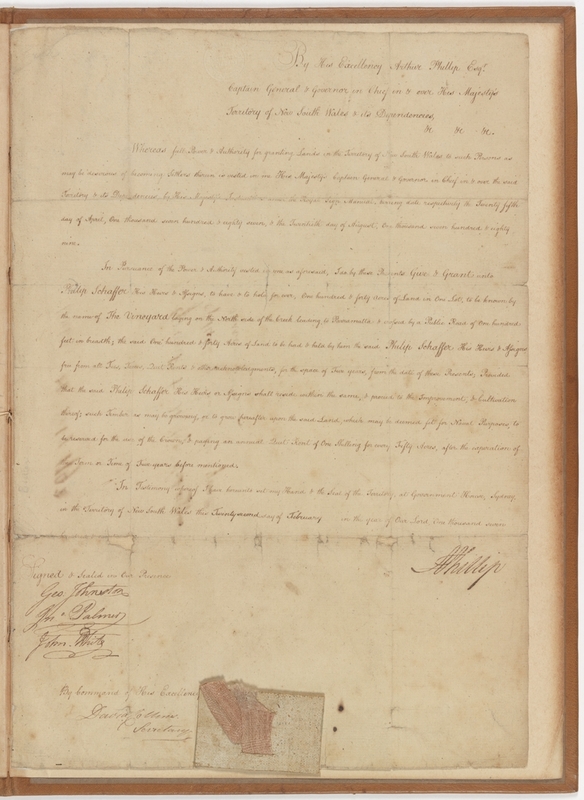 These land grants were usually small, and required the grantee to live on and work the land. This was beneficial because it enabled the grantee to sustain himself, his family and his convict workers and perhaps make some profit by selling his produce. It also meant that fewer people needed to be supported by the Government stores. 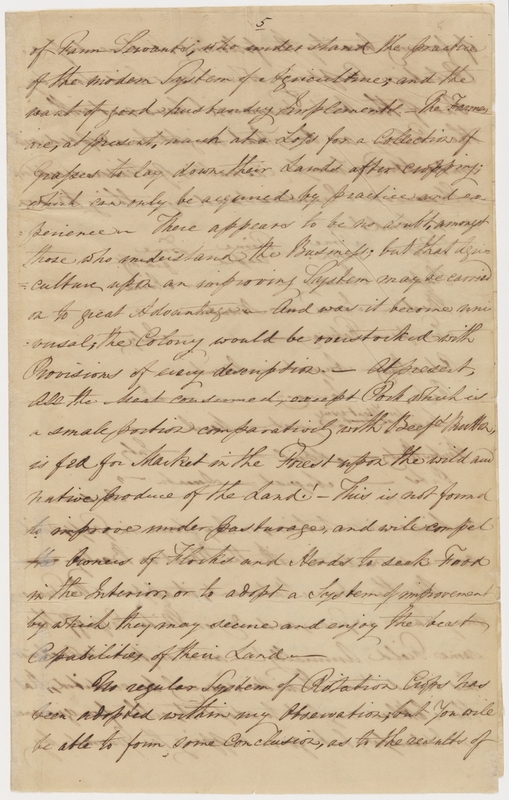 An anonymous letter, written in Parramatta in 1819, described the system of agriculture in New South Wales at the time, and discussed settlers issues with the climate as well as successes and failures experienced with various types of crops and livestock. 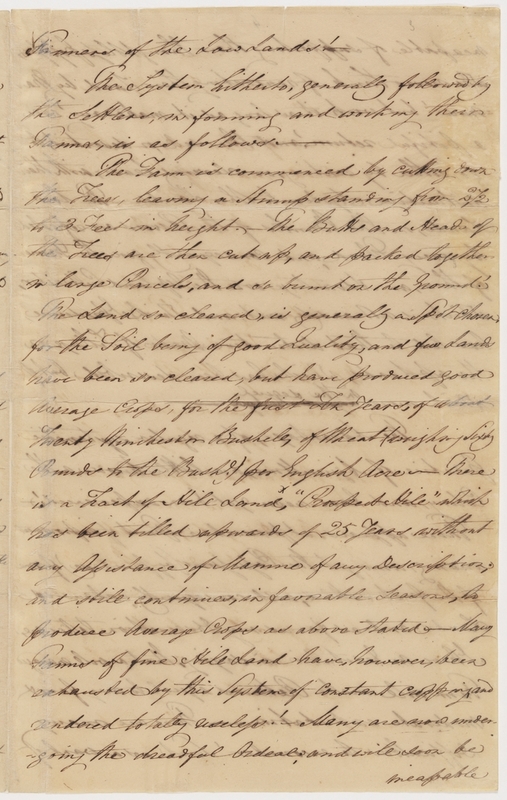 General Note: Related account book entries, 1837-39: 10 Oct. 1837. Capt. 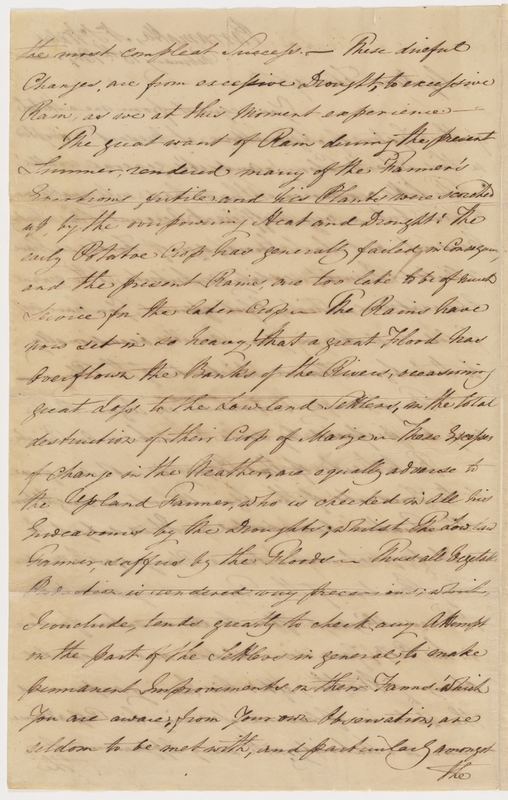 P.P King £12.12.0’; 12 Nov. 1838 … Rob Mackenzie Esq £15.15.0, now in the NGV’; 1 Jan 1839 … Capt. Wright £15.15.0; 4 Apr. 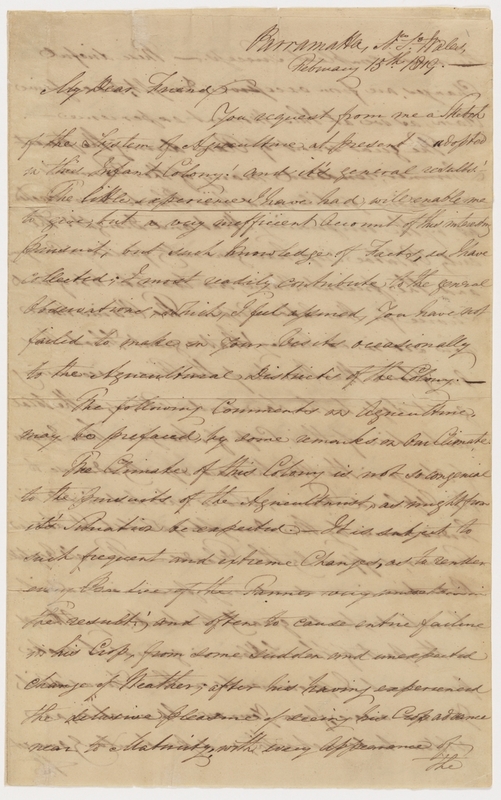 1839 … L. Campbell Esq. £15.15.0’. 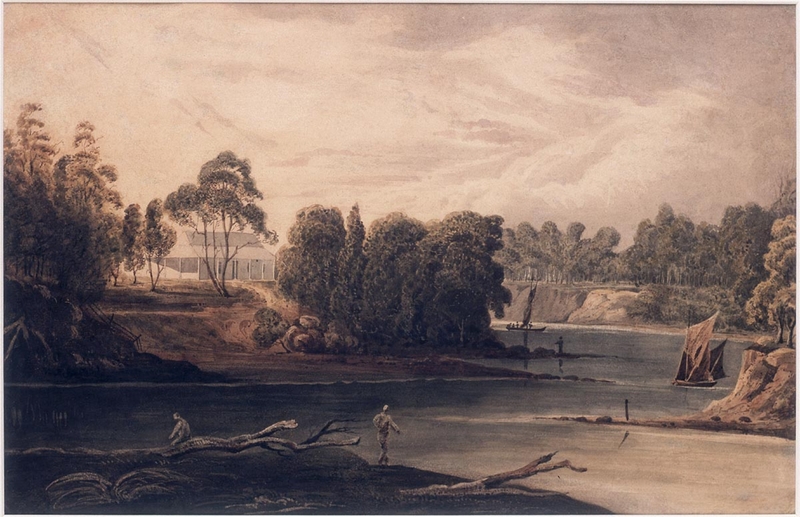 Pencil drawing, `View of Parramatta Sep. 25/1837, 20 x 30 cm., illustrated in Lindsay, L. `Conrad Martens’, Sydney : A&R, 1920 1920, pl.XLVI, presented by Col. A.E. Knox, Sydney, Feb.1960 PXC 971, f.2. 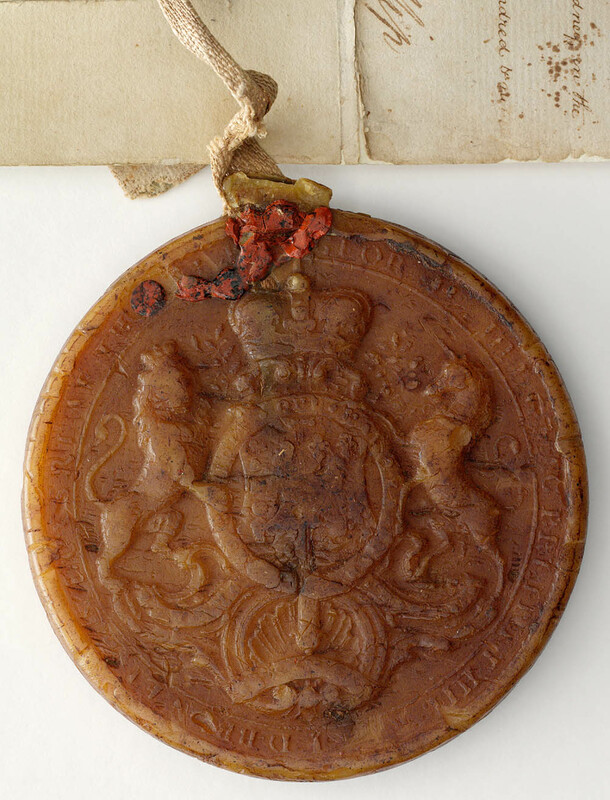 Collection History: By descent to Helen Ekin from her husband, Hugh. Given to Hugh by his grandparents, Hugh Ekin and Minnie Harris. Hugh and Minnie were first cousins and both descendants of John and Ann Harris of Moneymore, County Londonderry, Ireland. John and Ann’s sons were Surgeon John Harris, and also George, William and Robert Harris. Hugh Ekin is descended from William Harris whose daughter was Eliza Ekin, nee Harris; and from Robert Harris from whom Minnie Harris is descended. 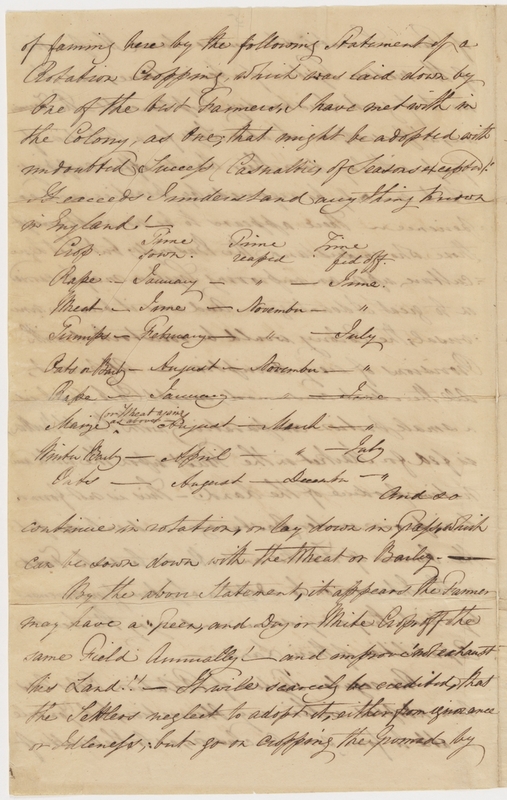 Administrative / Biographical Note: Surgeon John Harris (1754-1838) was a member of the Royal Navy and the NSW Corps. He was appointed surgeon's mate in the New South Wales Corps in 1789 and promoted surgeon in 1792. He arrived in New South Wales in the Surprize in June 1790 and was posted to Parramatta. 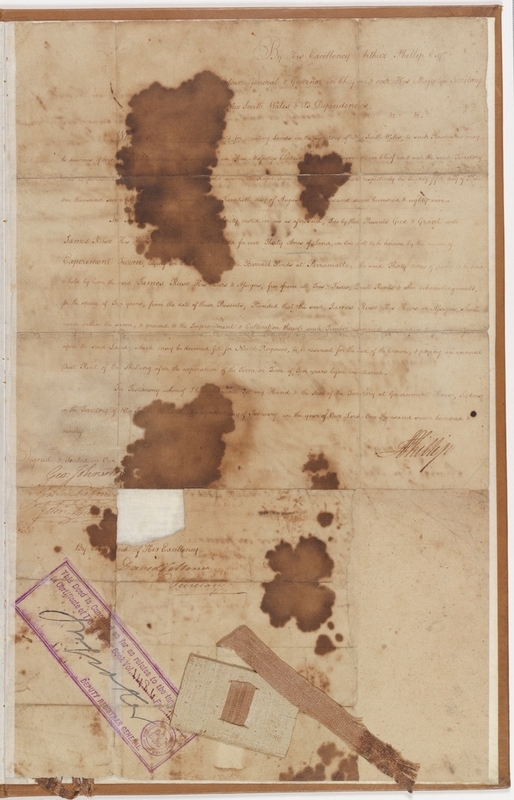 In 1793 he was granted 100 acres of land at Parramatta. He bought the property, Experiment Farm, from James Ruse. 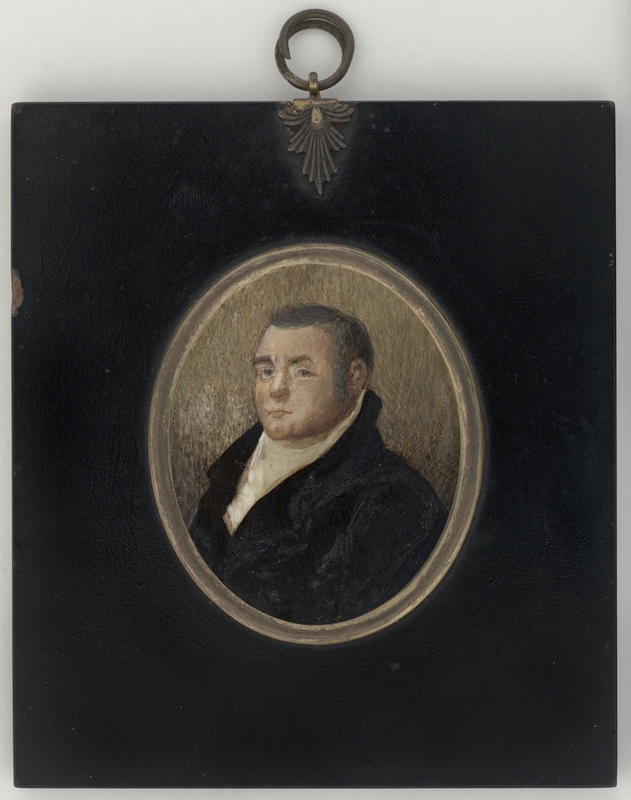 He served as a magistrate in the colony, accompanied Barralier exploring the Hunter River in 1801 and was one of the first directors elected to the Bank of NSW. At his death in 1838 he had extensive landholdings in Parramatta, Ultimo and Five Dock. He returned to England, aged 56, in 1810, to give evidence in the court martial of George Johnston for his role in the Rum Rebellion, and also visited his family in Ireland. He married, and returned to Australia in 1814. Philip Schaffer was born in Hesse, Germany. He came to Australia in 1790 where he took up 140 acres at Rydalmere, near Parramatta, which he named The Vineyard. 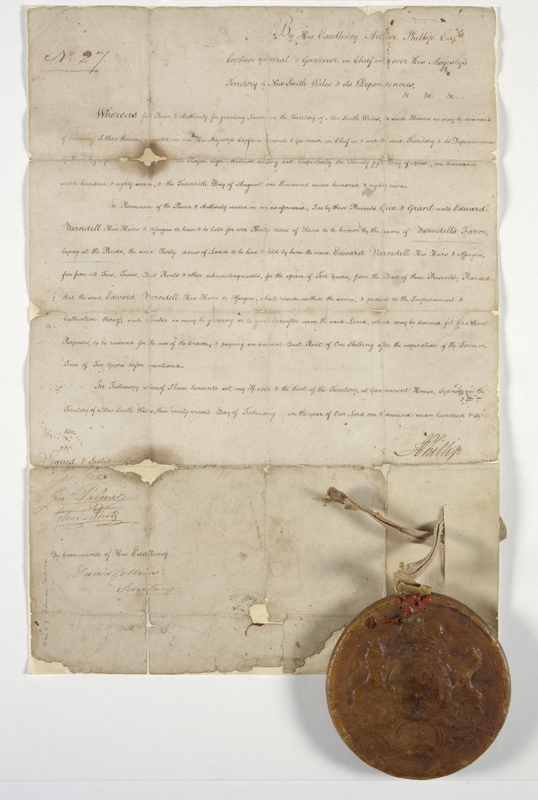 The grant was formalised on 22 February 1792, together with grants to James Ruse and Edward Varndell. 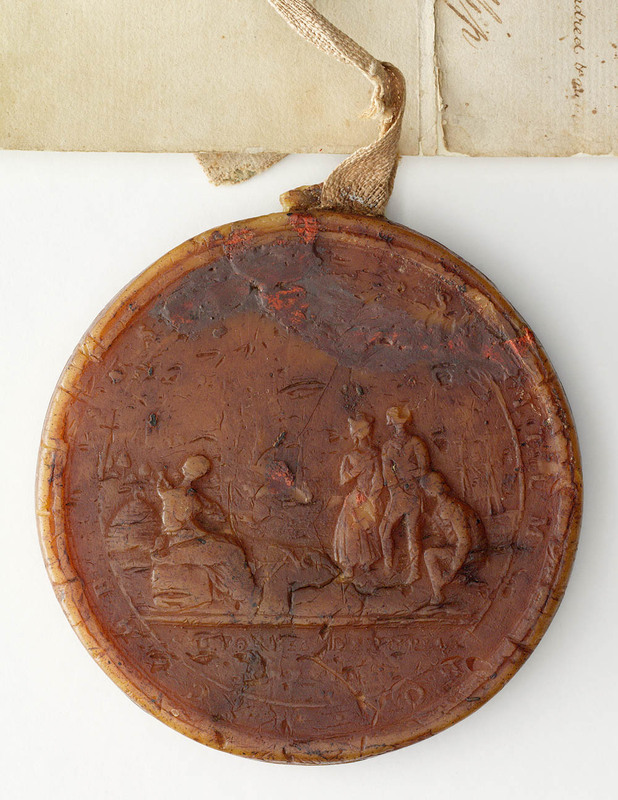 Signatures / Inscriptions: Inscribed on reverse of drawing "John S Hughes / July 12th 1826"
In another, later hand, "Parramatta River / Vineyard original cottage. the birthplace of the family of H.H. 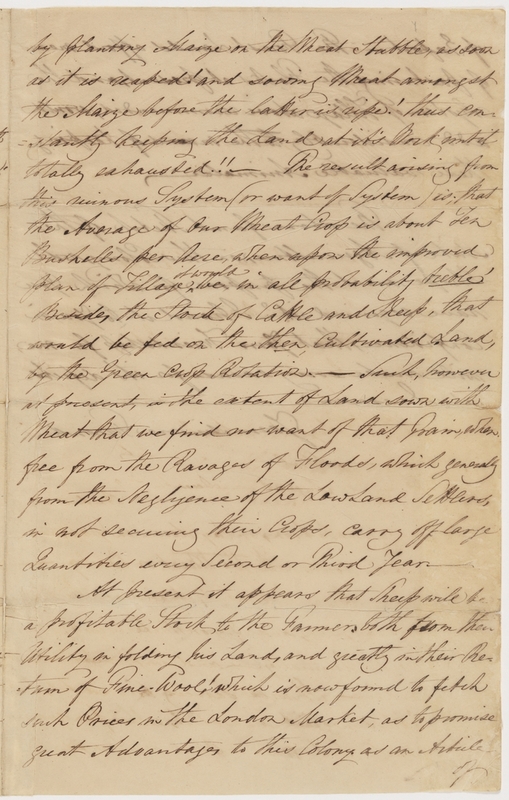 McArthur Esqr / from 1812 to 1832"
General Note: John Sympson Hughes was a lieutenant in the 3rd Regiment. He arrived in Sydney in April 1825 (Sydney Gazette 28 April 1825 p.2). 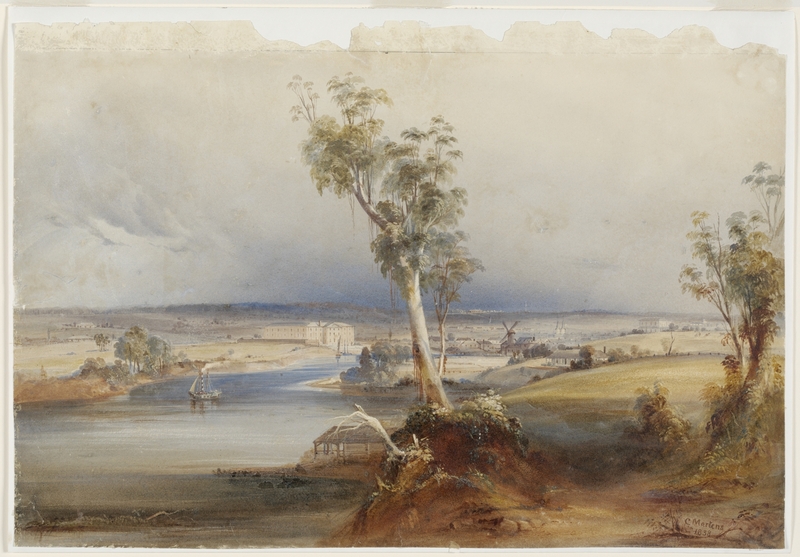 He was still in Sydney in January 1827 when he took a sketch of Elizabeth Bay, now in a private collection. 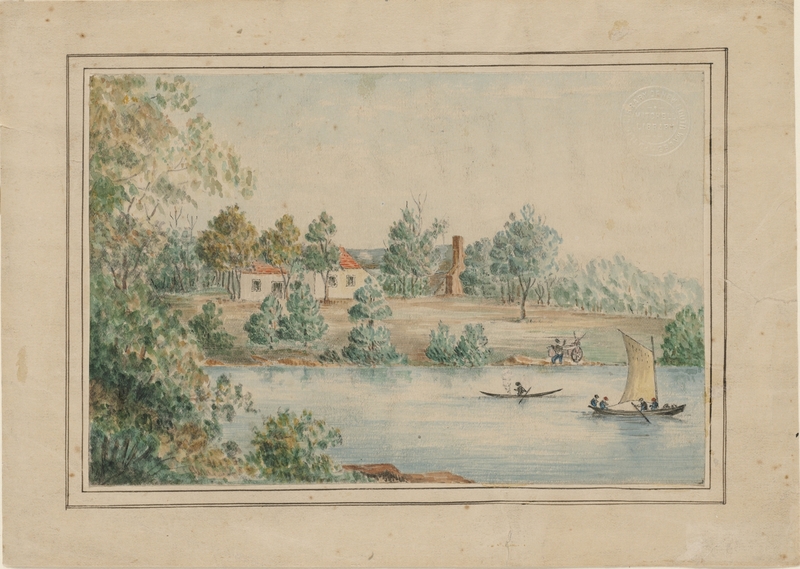 This watercolour shows the original cottage at Vineyard before it Hannibal Macarthur re-built it in 1836. Administrative / Biographical Note: This grand residence was designed by John Verge for Hannibal Hawkins Macarthur and was newly completed when this picture was painted. The house was demolished in 1961. Signatures / Inscriptions: Signed and dated lower right "C. Martens 1840". 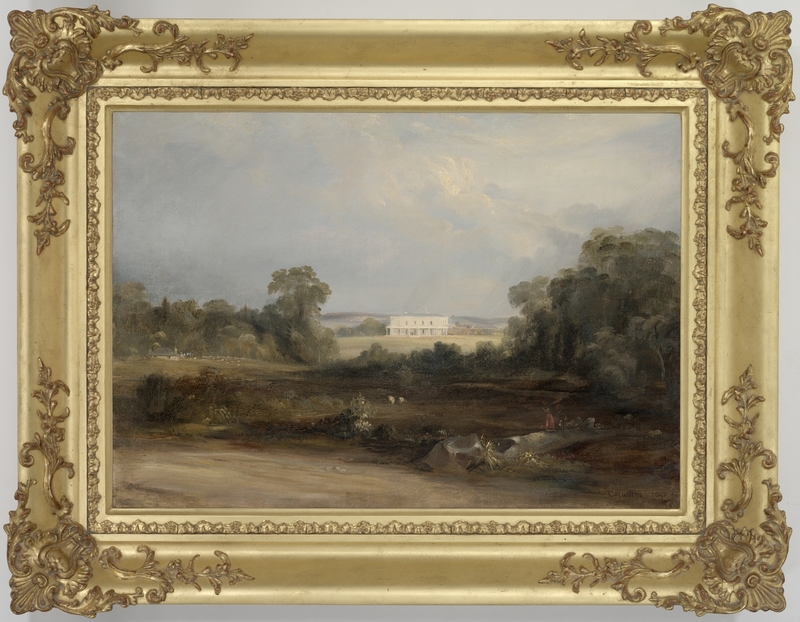 Inscribed in later hand on reverse of canvas (relined) "The Vineyard Estate. Subiaco. 12.8.39. near Parramatta". Stamp of "S Holden Picture Restorer 107 Bayswater Road Darlinghurst 29 Oct 1945" also on reverse. Paper label of "A.M. Jennett Picture Framer, Carver and Gilder..." on lower stretcher bar. Reference: Conrad Martens Life & Art / Elizabeth Ellis. Sydney, NSW : State Library of New South Wales Press, 1994. We would like to acknowledge the generosity of the Vincent Fairfax Family Foundation. Formed to encourage and promote the future of agriculture in the colony.